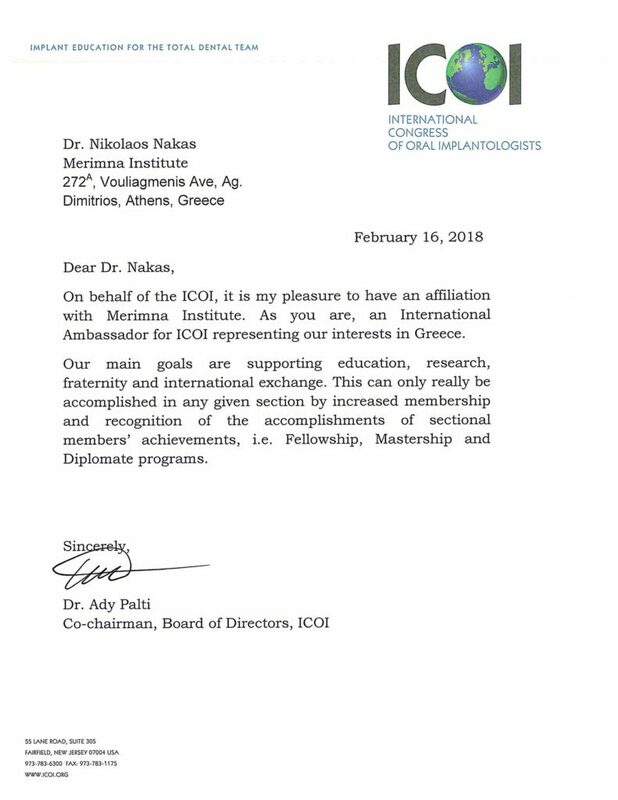 International Congress of Oral Implantologists (ICOI) founded in 1972, is the world’s largest professional organization dedicated to implant dentistry. Our membership includes general dentists, oral & maxillofacial surgeons, periodontists, prosthodontists, endodontists, orthodontists, laboratory technicians and others interested in the field of implant dentistry. ICOI empowers implant teams with comprehensive technical and patient education worldwide. Currently we represent over 15,000 dentists worldwide and have multiple worldwide annual symposia with discounted rates for members. ICOI’s primary mission has always been to globally educate all implant team members with the highest quality of practical and scientific education… be it prosthetic, surgical, technical or team education. Proven Results: ICOI is the world’s largest implant education organization & the world’s largest provider of continuing dental implant education. ICOI makes surgical and prosthetic advancements and techniques easily accessible resulting in increased patient acceptance, more referrals, and practice growth all while continuing to add member benefits annually. ICOI: An interactive society open to all General Dentists, Oral & Maxillofacial Surgeons, Periodontists, Prosthodontists, Endodontists, Orthodontists, Assistants, Hygienists, Office Management, Laboratory Technicians, Academicians, Students, Industry Personnel and Patients. Restorative Practitioners: ICOI is the original and remains the only implant organization committed to prosthetic implant education. ICOI believes that Implant Dentistry is a prosthetic discipline with a surgical component. We provide the knowledge and resources to enhance your practice goals and aspirations as well as add value for your patients. Surgical Practitioners: ICOI recognizes your need for continuous updates in surgical technology, innovative techniques and their clinical applications. We also provide assistance and communication tools to elevate and increase the success of the team approach. Laboratory Technicians: Technicians and dentists are joined together to elevate implant prosthetic standards, skills and techniques. If you are committed to enhancing your knowledge, you will feel at home as an ICOI member united with others by common beliefs. Auxiliaries: ICOI’s component society, the Association of Dental Implant Auxiliaries (ADIA), is dedicated to continuing education and certification for all office management and clinical team members. Communication and cooperation between all inter-office and referral team members is paramount. Patient Education: Accurate, high quality and online public education translates to increased acceptance, practice growth and enhanced patient-office communication preventing miscommunication.